Avanath Capital Management bought a 156-unit affordable housing complex in Uptown for $28.3 million, its latest in a string of acquisitions in the Chicago market. California-based Avanath picked up the Scotland Yard complex and at 4215 North Broadway and an adjacent parking lot from a trust on April 3, Cook County property records show. The deal was financed with an $18.4 million acquisition loan from JLL. Scotland Yard advertises 125 one-bedroom rentals, with the remainder made up of studios and two-bedrooms. The units are income-restricted and are available for seniors as well as families, according to apartments.com. The Uptown apartment buy represents the fourth acquisition in the Chicago market since late 2018 for Avanath, an affordable housing investment firm. 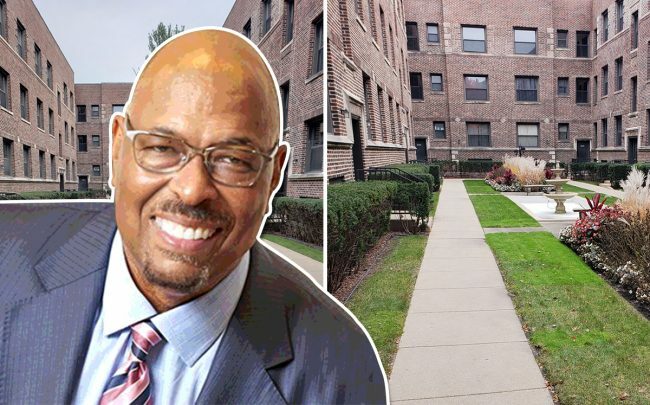 Last month, Avanath paid $15.45 million for a 59-unit apartment building in Old Town, a complex that has a contract with the Chicago Housing Authority. In October, the firm spent a combined $72.2 million to acquire the 582-unit Hinsdale Lake Terrace in Willowbrook and the 86-unit Drexel Court on Chicago’s South Side. The purchase nearly tripled Avanath’s portfolio in the area. Its first acquisition in the area came in 2013, when it bought a 180-unit complex in Naperville, according to its website. Avanath is rapidly expanding in Chicago because of its economic revitalization and a “dire need” for affordable housing, company president John Williams previously told REJournals. Affordable housing has increasingly become an issue in Chicago, especially in light of the thousands of new apartment units included in the city’s mega-developments, which are getting record tax increment financing subsidies.